We have a lot of salmonberries in our yard, so saturday morning I went out and picked a bowl full of them. 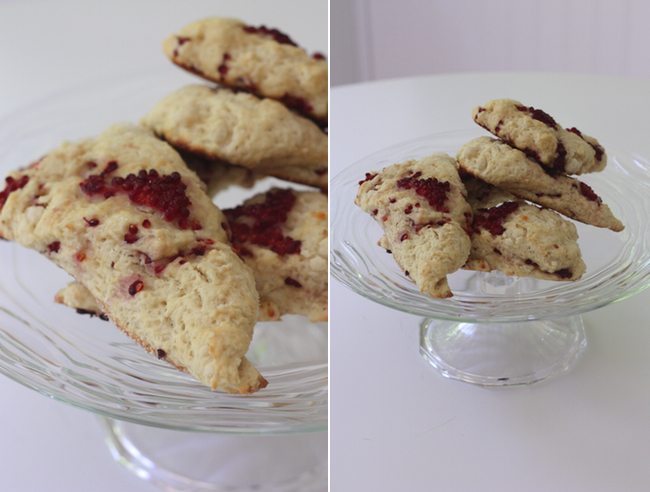 I decided to make some scones, and they are dellllicccciousssss! (you can of course make this with any berries you like). 1. Preheat oven to 400 degrees. In a food processor, pulse together flour, 1/4 cup sugar, baking powder, and salt. Add butter and pulse until pea-size pieces form. In a small bowl, whisk together buttermilk and egg yolk. Slowly pour buttermilk mixture through feed tube into processor, pulsing until dough just comes together. 2. Transfer dough to a lightly floured work surface and sprinkle raspberries on top. 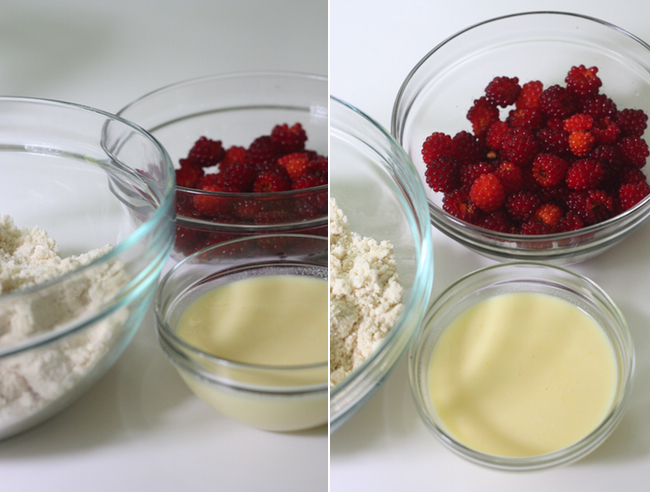 Knead three times to fold in raspberries (there may be loose pieces of dough and a stray berry or two). Gather and pat dough into a 1-inch-thick square and cut or pull apart into 2-inch pieces. Place pieces, about 2 inches apart, on two parchment-lined rimmed baking sheets and sprinkle tops with 1 tablespoon sugar.